The spectacular ‘Disney On Ice presents Passport to Adventure’ show concluded yesterday with huge success attracting over 27 thousand visitors from the Kingdom of Bahrain and abroad during the Eid Al-Fitr holiday. The show offered its visitors over the period of 5 days an unforgettable entertainment experience, filled with Disney music and magic in every scene. The audience enjoyed four unique landscapes at the ice show, each filled with Academy Award®️- winning musical scores and world-class skating, making ‘Disney On Ice presents Passport to Adventure’ a magical experience family will cherish forever. “The highly-anticipated ‘Disney On Ice presents Passport to Adventure’ show witnessed the attendance of families and audiences of all ages over the period of 5 days. The show attracted more than 27 thousand visitors and tourists from the Kingdom of Bahrain, neighboring GCC countries and beyond, further strengthening the Kingdom’s position as the leading family destination on the global tourism map. 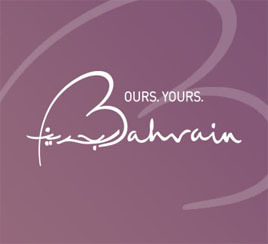 We look forward to host similar events and continue uplifting the Bahrain Tourism and Exhibitions Authority’s (BTEA) calendar of events with an aim to provide families of all ages a unique and memorable experience,” said the Chief Executive Officer of the Bahrain Tourism and Exhibitions Authority, H.E. Shaikh Khaled Bin Humood Al Khalifa. The BTEA also hosted kids from several local charity organizations to enjoy the show including Branch of Administration and Compensation of Martyrs and Injures, Child Wish, Royal Charity Organization among others. ‘Disney On Ice presents Passport to Adventure’ show comes in line with BTEA’s long term strategy to further develop the Kingdom’s tourism sector and strengthen its position on a regional and international level under the slogan of ‘Ours.Yours.’, which contributes towards the Kingdom’s economy and the 2030 Economic Vision.